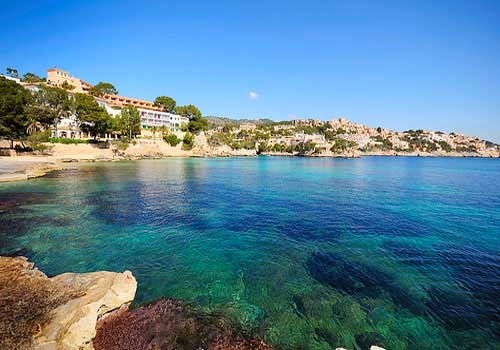 Majorca (that’s the dreamy, mountainous Balearic floating mid-Mediterranean between Ibiza and Menorca) has continued to grow as a destination for family holidays over the past few years, thanks to its beaches, warm climate and authentic Spanish flavour. A logical starting point to explore the island is Palma, the ancient Roman capital. Highlights include the 13th-century gothic cathedral, the impressive Castell Bellver and the old town, whose narrow streets give a real flavour of the city’s Arab heritage. For shopping, try the area around Av Jaume III and Passeig des Born for chic boutiques, and take a stop by one of Palma’s traditional markets to stock up on edible souvenirs – try Mercat Olivar or Santa Catalina. For a real taste of the Mediterranean, get up early and head to the Llotja del Peix, where you can watch local fishermen sell their catch. Don’t forget to try pamboli,the island specialty – a traditional, tomato-topped open sandwich. If you have more of a sweet tooth, ensaimadas, a Balearic favourite, will be a hit – enormous snail-shaped pastry swirls dusted with sugar and (if you’re lucky) filled with custard. From Palma, you can take the picturesque Tren de Soller – a 100-year old narrow gauge train that runs north through the mountains to the little town of Soller on the north coast, offering you a snapshot of the island’s natural beauty. For those of you who are keen to get up close and personal with the scenery, try hiring a car to explore one of Mallorca’s many natural parks or wild beaches – try Cala Varques, Cala Mesquida or Cala Formentor. Don’t forget the snorkels – especially in the more secluded coves, the amount of marine life is incredible. 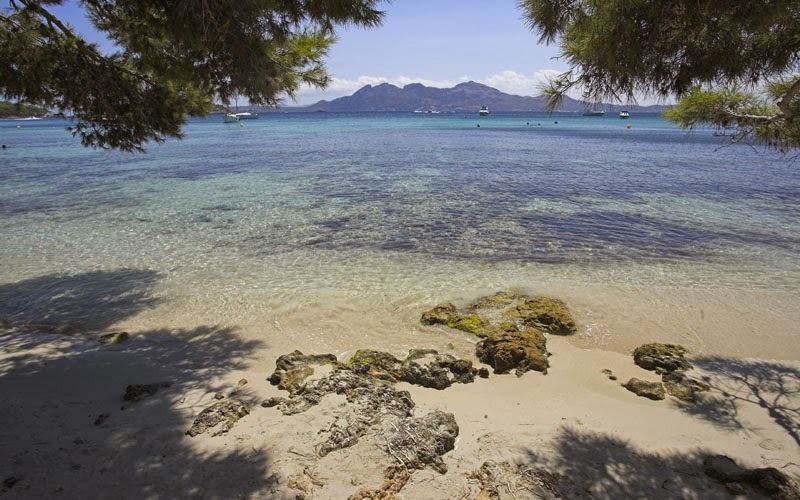 There is a large range of accomodation options across the island, from super-exclusive hideaways (see La Residencia in Deya, swoon) to the family-friendly all inclusive resorts that cluster around small costal resorts like Alcudia, the beach town built on the site of the Roman town of Pollentia (and coincidentally next to one of Mallorca’s longest beaches).